After revealing their away and third kits in late July and early August, Parma this afternoon revealed their new home kit for the 2018-2019 Serie A season. 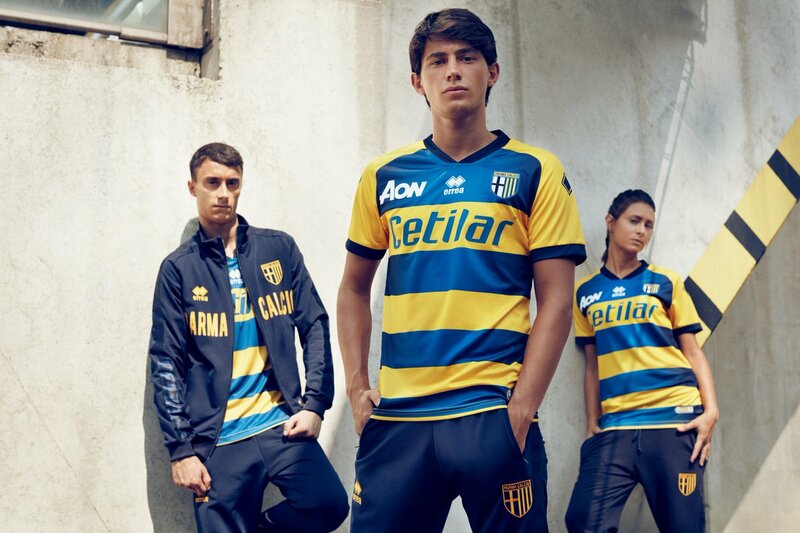 Made by Erreá, the new Parma Calcio 1913 home jersey introduces an elegant design. The Parma 2018-19 home shirt by Erreá. 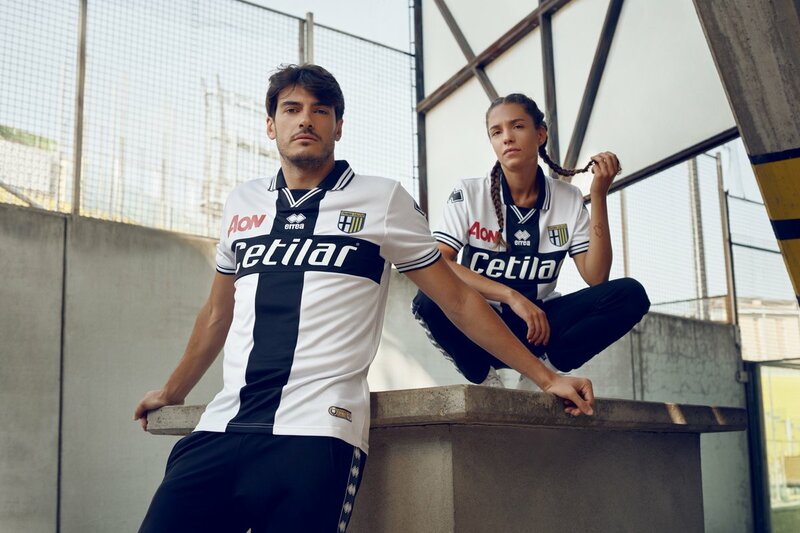 The Parma 2018-2019 home jersey consists of the classic black cross on white that takes inspiration from the legendary 1970s. It has a special black polo-neck collar design that continues into the cross that is complemented by the double black trim on the sleeves. Just as the away and third kits, the new Parma 18-19 home kit also features the Phoenix which is the emblem of the club’s rebirth in recent years. On the Home Kit, it is printed inside the collar with yellow and blue stripes and it’s also embroidered in gold on the back. The back also features a crusader badge that enhances the lower part of the shirt.